Which issues will come to the fore? What will we see at the ninth conference of parties (CoP-9) to the UN climate change convention? Three things come to my mind. First, and the most anticipated one, is the set of rules for land use, land-use change, and forestry (LULUCF) projects in the clean development mechanism (CDM); second, adaptation to climate impacts; third, whether and when Russia will ratify -- determining entry into force of the Kyoto Protocol; and fourth, a possible start of a discussion on the future of the international regime on climate change after 2012. LULUCF: Agreement on rules for LULUCF in CDM is the most anticipated outcome at CoP-9. I am agnostic about the inclusion of LULUCF in CDM, unless its scientific soundness is ensured, the benefits and pitfalls already demonstrated by science are addressed, and it contributes to local and national sustainability. The inclusion of LULUCF is both already agreed upon (thus it will be "in" whether we like it or not) but limited (to 1 per cent of 1990 emissions of Annex I countries). 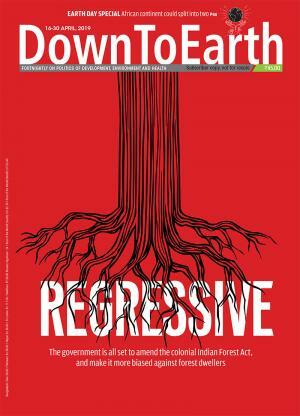 While the technical issues such as that of leakage and permanence need to be resolved, so are the issues of sustainable development, i.e., whether forestry CDM will actually help or jeopardize local sustainability (biodiversity, water cycle, tenurial rights, and indigenous cultures), a classic problem with almost all forestry projects. Imposition of international rules on sovereign states may backfire, especially in case of developing countries most of which gained independence less than half a century ago and are still strongly anti-foreign interference. But at least on paper the rules need to be good, otherwise there will be nothing to hold on to. In this regard, a checklist such as in the draft text for negotiation can provide a bare-minimum rule. Additionally, to assist potential investors to differentiate good projects from bad ones, a quality standard may help. Learning from the potential positive impacts (such as the "gold standard" for the energy projects) this quality standard can offer, some forestry-friendly institutions began to develop a quality standard for forestry projects -- CDM and non-CDM. Of course, for anti-sink, this is admittedly making "bad" projects look good. To my judgment, this is better than letting potential investors be in the dark and in turn promote potentially destructive forestry projects. But CDM is over-hyped in the first place, and there is already too much ado about its nothingness. From what has been announced by Annex I countries as of today, CDM will only deliver about US $600 million in the current market demand -- falling short of the billions of dollars anticipated previously. A model that my institute, Pelangi, developed shows that CDM could cover about 40 per cent of the emission reduction efforts, but only when the US was on board. This constitutes about 6 billion tonnes of carbon only. Without the US, the demand could go down to as little as zero. Adaptation: CoP-8 in New Delhi, India, last year put into prominence adaptation issue. But, much attention is still being devoted to the physical and the socio-economic impacts. In the debate on adaptation to these impacts, strong interests lie in the physical and technical measures, and the cost. Discussion on the Adaptation Fund -- its amount and predictability -- comes in the forefront. It is also unfortunate that oil-exporting countries have been hijacking the issue with impacts of response measures (compensating oil-exporting economies for losses due to reduced demand resulting from emissions limitation). There is no adequate and predictable stream of funding to address adaptation needs. While even US $1 billion will not be enough, I argue that we need to know how we can spend the money, if at all available, efficiently and reach the right targets. No single Article within United Nations Framework Convention on Climate Change (UNFCCC) and its Kyoto Protocol deals comprehensively with adaptation. The National Action Plan for Adaptation (NAPA) may be helpful for the least developed countries. But so far, existing response strategies have been either formulated at the international or internationally-driven national levels. This way, the approach tends to be state-oriented with limited inputs and involvement from the civil society and, most importantly, from the potential victims. This poses some problems. Traditional management of internationally-driven projects will bring conditionalities, for example, to employ "international consultants" from the donor countries. This can easily absorb half of the budget. Second, in countries laden with problems of corruption and lack of accountability, there are limitations in terms of the capacity, the ability to reach the right targets, and the effectiveness of the use of resources (and funds). In the end, only a fraction -- a quarter, if we are lucky -- of this "adaptation fund" will go to developing country parties and even less than that will be used directly to increase their resilience to climate change. Russian Ratification: As I started writing this article, CNN reported that Russian President Putin said that Russia "is still undecided" about ratifying the Kyoto Protocol, even joked that global warming might benefit his country by lessening the need for fur coats. This indeed is not a good sign. Responsible for 17 per cent of Annex I emissions, Russia now holds the trump card for achieving the 55 per cent of emissions ratifications from Annex I stipulation for the entry into force of the Kyoto Protocol. Without the US and Russia, Annex I ratifications will only represent 47 per cent of their emissions, and this is insufficient for entry into force. With Russia, it will be 64 per cent. But Russia has its own domestic politics. Even after large hot air - valued at some billions of dollars - and large discounts on their stabilisation commitments through the use of domestic sinks and others, it is still not ratifying for economic and other reasons very similar to the US. While some skeptical scientists in Russia try to undermine the credibility of the Intergovernmental Panel on Climate Change (shown in the Russian Workshop recently), some bureaucrats cry that the Protocol is bad for Russian economic recovery, as was demonstrated by the internal disputes within the Ministry of Economic Development and Trade. But these anti-Kyoto voices are not new. As a Canadian representative stated at the recent Moscow meeting, Canada and Russia have a lot in common with regards to climate change. And if climate change will bring damaging impacts to Canada, it will to Russia, too. Surely enough, with its capacity to say "no" to the Iraq war, Russia should be able to refuse joining the bandwagon of the largest climate terrorist of the world. After 2012 Climate Regime: Why start talking about the international regime on climate change after 2012 when even the entry into force of the current Kyoto Protocol -- covering a commitment period up to 2012 -- is at stake? Many will skeptically ask this question, I believe. True. But not entirely. First, to limit the damage to an acceptable level, much more emission reductions will be needed with or without Kyoto Protocol. And industrialised countries alone may not be able to do so. Eventually, developing countries will have to kick in. The question is how and when. Even more importantly, developing countries can be proactive and develop their own proposal tabled in the right time to instigate the most acceptable "process". Rebuilding the climate of trust is imperative, especially after it has been badly broken by the unilateral withdrawal of the US, when in best faith the world had agreed to craft an agreement accommodating its needs. A group of "honest brokers", one that can comprise of industrialised and developing countries that have not been strong negotiators but whom all other Parties trust can be helpful. Moreover, it may be beneficial if the process could start from outside the negotiations, rather than from a negotiating session. Developing countries should be able to gather themselves outside the negotiating sessions to develop their capacity, knowledge of implications, and individual and collective negotiating positions. Lastly, CoP-9 will be a large marketplace for buyers and sellers of emission credits. Confidence in the market is clearly increasing, even with Russia's zigzagging. Bring your Project Identification Note. Bring your bags of money to buy those cheap credits -- to sell them later at higher prices. Bring your lawyers. And a nice pen to sign it. So, welcome to the jungle of CoP-9. The right-wing government of Italy may welcome you with nice food, pretty faces, and luxury nothings in the fashion city of Milan. But the battle is still uphill for you and me and the climate.